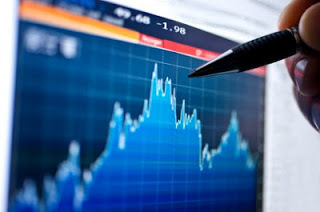 Analysis of African economies by Theo Acheampong, PhD. Post the Senchi consensus and ongoing IMF bailout talks, one would have thought that the Government will make firm commitments to reduce these two line items which continue to constrain the fiscal space: PAYROLL COSTS AND INTEREST PAYMENTS. As per the MPC report of November 2014, total government revenue and grants realised was GH¢17.7 billion (15.4% of GDP) whereas total expenditure, including payments made for the clearance of arrears and outstanding commitments was GH¢24.4 billion (21.3% of GDP). 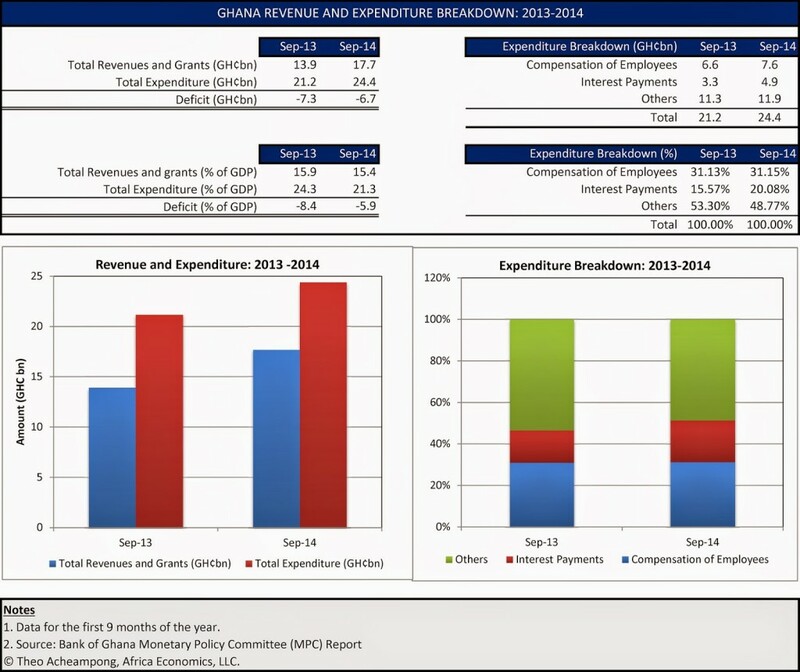 Of this amount, payroll costs accounted for GH¢7.6 billion with interest payments totalling GH¢4.9 billion. This implies we’re using 71% of revenues and grants to service these two line items alone even before statutory disbursements such as GETFund, NHIS, District Assemblies Common Fund, etc. come into the equation. Exactly the same situation panned out in November 2013 (year-on-year comparison). Again, total revenue and grants amounted to GH¢13.9 billion (15.9% of GDP) whereas total expenditure, including payments made for the clearance of arrears and outstanding commitments, was GH¢21.2 billion (24.3% of GDP). Of this amount, government payroll costs amounted to GH¢6.6 billion and interest payments accounted for GH¢3.3 billion, representing 71% of revenues and grants collected. Question: Why does the Government still insist on saying that they are taking measures to reduce the government payroll and interest costs when the evidence clearly points to a contrary scenario? The bottomline is that you either increase your revenue generation capacity or cut back on expenditures (easiest to implement in the short term). Theo is an economist and social media enthusiast who provides regular commentary on socioeconomic and political developments in Ghana and Africa at large. Theo is passionate about leadership, entrepreneurship and the role of innovative technologies in solving Africa's developmental challenges.